Mockups and implementation for the University of Alberta. The proposed redesign mockups were done using html and css. This was an interesting process as there was strict guides on the visual identity, placement, and content to be used. Working closely with the client really assisted in making the process run smoothly. Information on the University of Alberta website was divided according to relevant user groups in order to filter out information irrelevant to other groups and results in easier navigation. 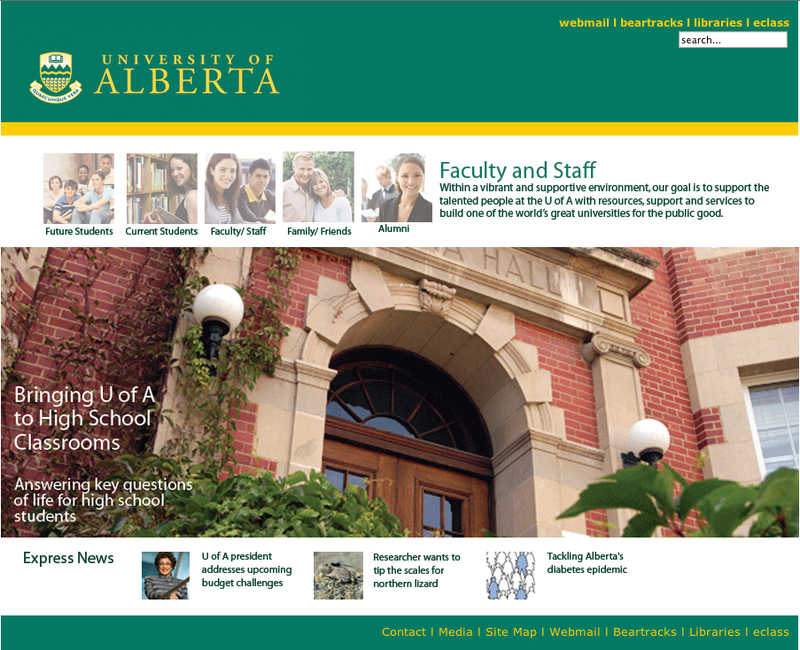 The second level of the University of Alberta's website redesign references the main page without being too repetitive. All different user groups are easily accessible on the top of each page to allow the user to easily explore different pages. I worked with the design and layout of the website as well as the coding and linking of pages.